For over 200 years, the unexpected courtship and hate turned to love relationship between Elizabeth Bennet and Fitzwilliam Darcy in Jane Austen’s Pride and Prejudice has thrilled readers. Ibi Zoboi is one of the newest writers to update Pride and Prejudice to the modern era. This year, she published Pride, set in the Brooklyn neighborhood of Bushwick. Zuri Benitez has lived in Bushwick her entire life. The second of five daughters of Afro-Caribbean parents, Zuri is proud of her neighborhood, her family and her heritage. But her neighborhood is changing. The Darcys have just moved across the street from Zuri and her family. They have purchased and renovated what was a rundown building and have two teenage sons. Zuri’s elder sister, Janae starts dating Ainsley Darcy, but Zuri develops an immediate dislike for Darius Darcy. Will they ever get along and find common ground or are they destined to hate each other? I really and truly enjoyed this book. It still felt like Pride and Prejudice, but felt modern at the same time. Though the book is set in modern-day Bushwick, I could still hear Jane’s voice as a writer. When adapting Pride and Prejudice or any other classic novel for the modern era, some writers are unable to keep of the voice of the original writer while adapting the story and the characters. Ms. Zoboi is able to balance the world of her characters with the narratives and characters that Jane Austen fans know and love. *Warning: this post contains slight spoilers about Pride and Prejudice and Persuasion. Read at your own risk if you have not read the books or seen any of the adaptations. 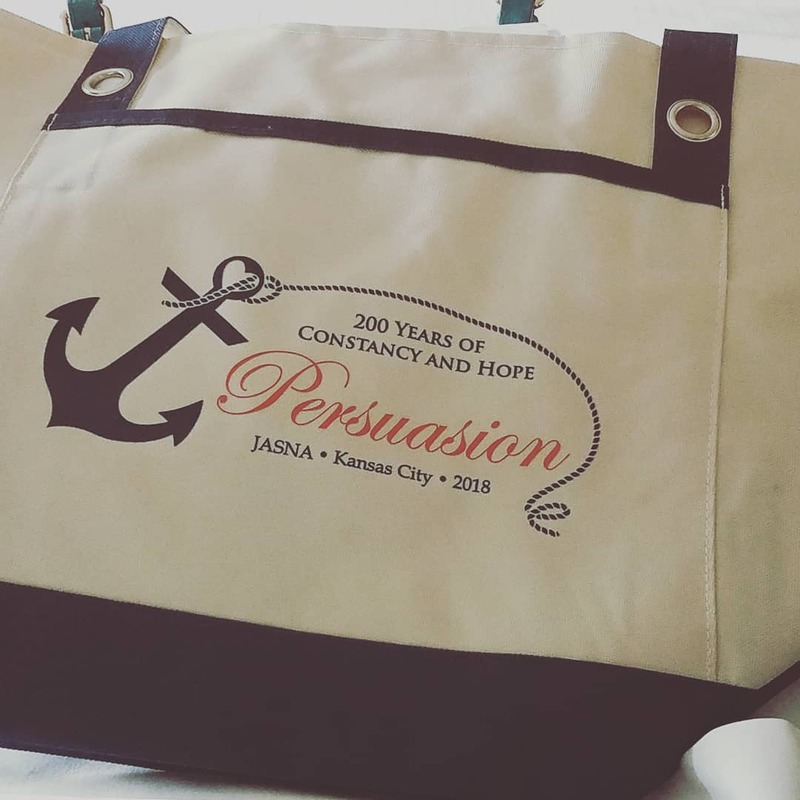 For many Janeites, the highlight of their fall the JASNA AGM. 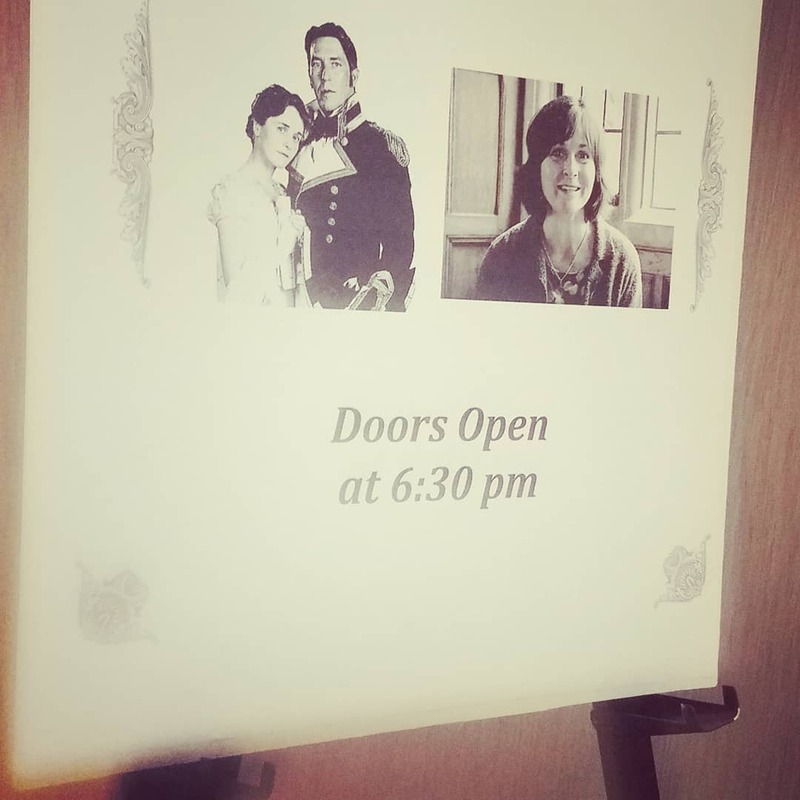 It is an opportunity to spend a weekend with hundreds of other Janeites, immerse themselves in everything that pertains to Jane Austen and forget about the rest of the world for three days. 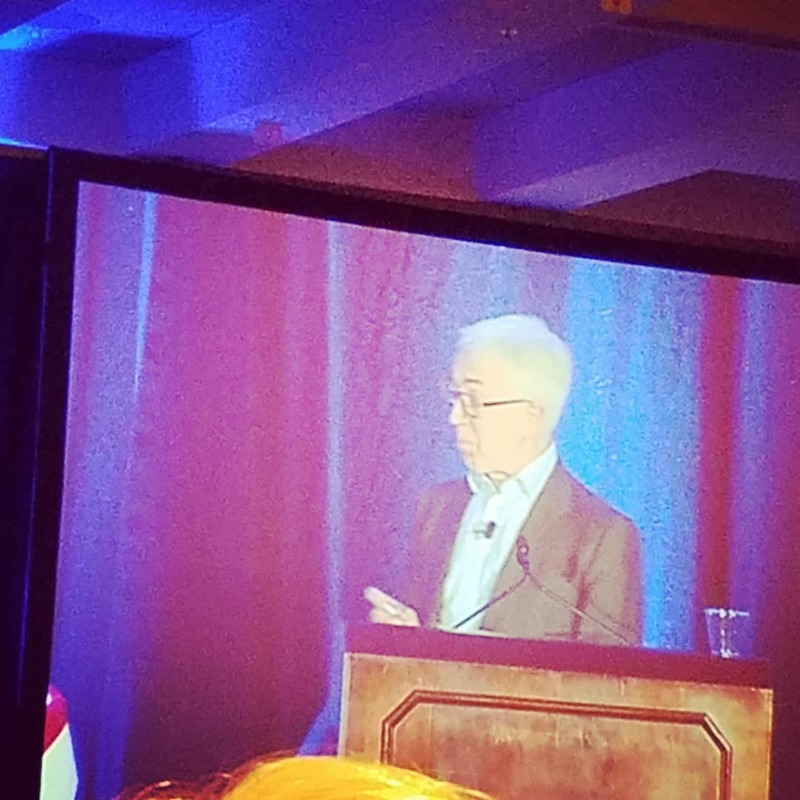 This year’s AGM was held in Kansas City, Missouri. 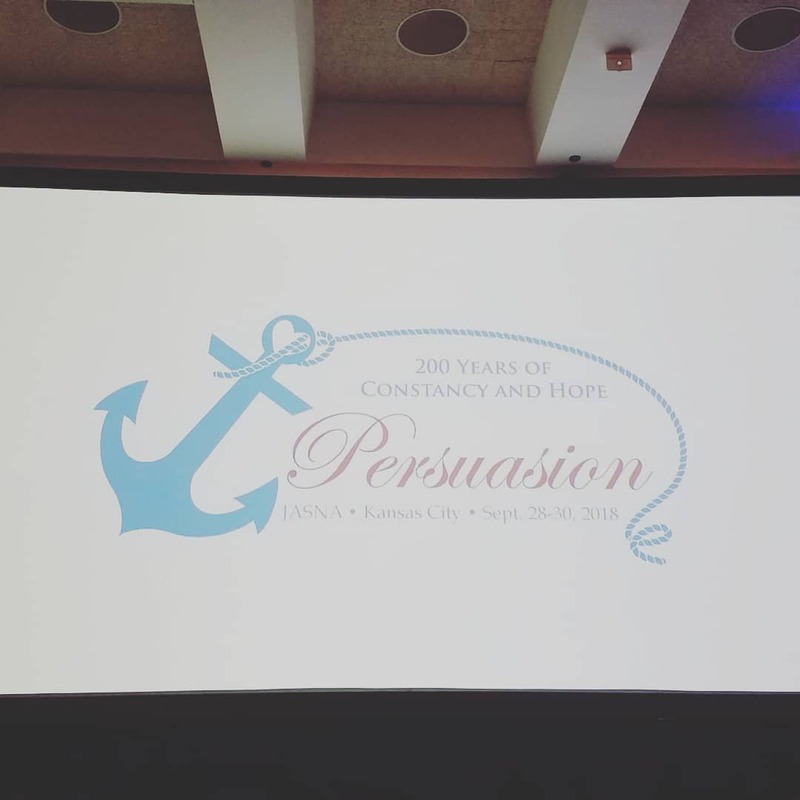 The theme was Persuasion and the title was 200 Years Of Constancy And Hope. For many Jane Austen fans, reading Persuasion is a bittersweet experience. We love this novel and its main characters, Anne Elliot, Captain Frederick Wentworth. Unlike her previous novels, there is a mature feel to the work, a what if question when it comes to love, mistakes and second chances. Anne is the oldest of the Austen heroines. She is in her late 20’s while the other heroines are either in their late teens or early 20’s. For his part, Frederick Wentworth is unlike any of Austen’s other heroes. He has had to pull himself up by the figurative bootstraps instead of being born into a wealthy family and automatically inheriting a fortune. He also feels, to me, at least more human than let’s say, Mr. Darcy. Mr. Darcy is almost like a too good to be true Prince in a fairy tale, a rich man who learns to tame his pride to win the affection/heart of the lower born woman that he loves. Frederick Wentworth is also proud, but he learns to understand Anne’s feelings over the course of the novel. He also realizes that their separation was not simply a one sided separation. His anger kept him from returning to Anne and renewing their relationship at an earlier juncture in their lives. While every AGM has it moments, there are two of them that made this AGM amazing. In 1995, a big screen version of Persuasion hit theaters. In the film, Amanda Root played Anne and Ciarian Hinds played Captain Wentworth. Attendees this past weekend were blessed to have Miss Root join us for part of the weekend. She is gracious, warm, down to earth and I think she was a little surprised by the reaction from those in attendance. There are many who have written about Jane Austen. There are few who can write with warmth, humor and speak to the reader without the academic feel that comes with the subject of Jane Austen. John Mullan is one of those people. In this crowd, he is a rock star. His book, What Matters in Jane Austen? : Twenty Crucial Puzzles Solved, is one of my favorite books about Austen and her novels. And, as usual, the high point of the AGM is the ball on Saturday night. 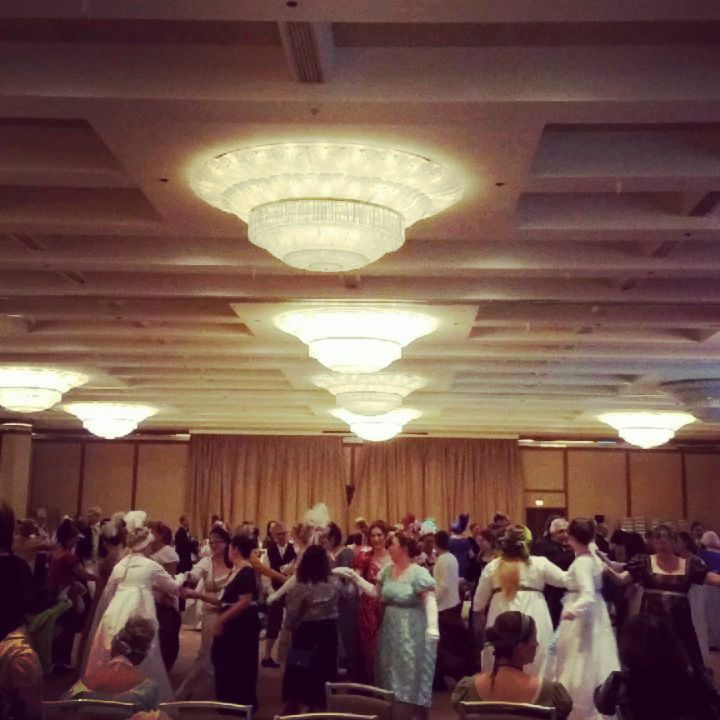 While not everyone dresses up and dance, it’s fun to do so if one wishes. All in all, it was an amazing AGM and I look forward to next year in Williamsburg, Virginia. One of my favorite aspects when it comes to Jane Austen’s novels is that her stories still ring true to readers in the early 21st century as much as they did in early 19th century. This has led to the explosion of Jane Austen fanfiction, for better or for worse. In 2016, Holidays with Jane: Summer of Love, was published. Each of her six completed novels is condensed into modern short stories that are set in and around summertime and summer vacation. I really enjoyed this book. I enjoyed it because I felt like the writers achieved the delicate balance of being true to Jane’s novels while letting the modern version of the characters shine. In Pride and Prejudice, Mary Bennet is the classic middle child. She is neither beautiful like Jane, witty like Lizzie or outrageous like Kitty and Lydia. Like her sisters, she knows that she must marry well to survive, but without looks or fortune, she knows that the chances of marrying well, if at all are slim to none. This is the premise of the new novel, Mary B: A Novel: An untold story of Pride and Prejudice.Written by Katherine J. Chen, the book tells Mary’s story before, during and after the events in Pride and Prejudice. As she watches three of her sisters marry, Mary knows that she will forever be the spinster sister dependent on others for her needs. Her only solace is her books and the story in her head that she begins to write. Then life begins to imitate art and Mary’s voice as a smart and independent woman begins to shine through. I had high expectations for this book. In terms of Pride and Prejudice characters, Mary is often given the short shrift. It was nice to hear her perspective on the world. However, I had two points of contention that I have no choice but to bring up. The first is that there was language and certain phrasing that was too modern for Georgian England. The second was Colonel Fitzwilliam. Without giving away the plot, I felt like his narrative and specific character arc did not ring true when compared to how he was portrayed in the original novel. In Pride and Prejudice, Colonel Fitzwilliam is outgoing and jovial. His cousin, Mr. Darcy, is perceived in a good chunk of the novel as surely and anti-social. In this book, Colonel Fitzwilliam is closer to Mr. Willoughby in Sense and Sensibility or Mr. Churchill in Emma than he is to how Jane Austen introduced us to in Pride and Prejudice.